Gotta keep those peepers nice and protected, all the better to spot sharks with. The perfect pool party plaything. The perfect post-pool party plush. The perfect salsa dish, and just menacing enough to ward off the would-be double dippers. 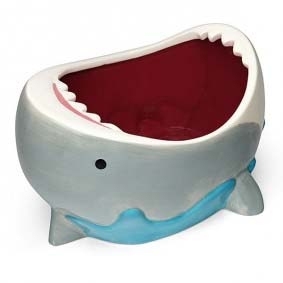 For taking a bite out of Shark Week … and washing it down with a refreshing beverage. Yeah, so this one isn’t really a party thang, unless you have some guests with the habit of getting overly familiar with your shower. But it’ll look cool hanging in the lavatory for those important party potty breaks. 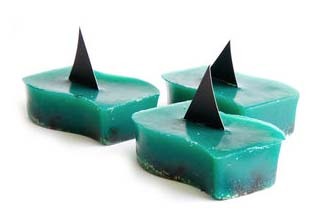 So, if you’re gonna trick out the bathroom, may as well have this cool soap on the sink, too. 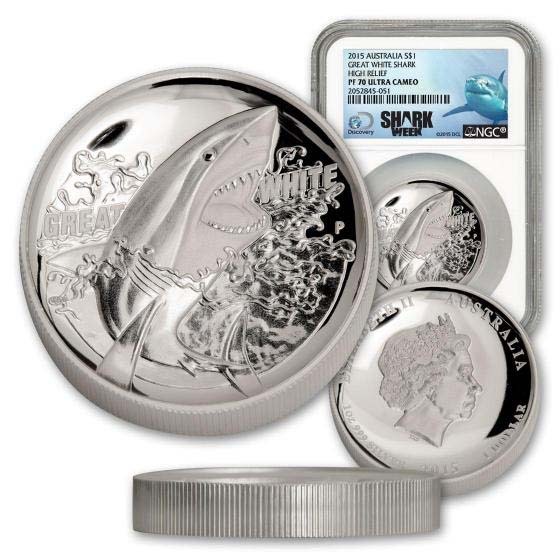 Too expensive to be a party favor, but the limited edition silver dollar (only 10,000 minted) makes a very cool and unique Shark Week lover gift. Selfies are much better taken with the cardboard version than the real thing. TVScreener.com is a very proud member of the Broadcast Television Journalists Association (BTJA), and today, we announce the nominees for our third annual Critics’ Choice Television Awards. It’s a fantastic list of shows and stars, with The Big Bang Theory and American Horror Story: Asylum leading series nominees with six each, and HBO (21) and FX (19) leading the networks. The Critics’ Choice Television Awards ceremony will be held on June 10 at the Beverly Hilton Hotel in Los Angeles, hosted by Parks and Recreation star Retta. Fans can watch the celeb-packed event in a live webcast at UStream. BTJA will also announce nominees for the Most Exciting New Series award on June 3. The Broadcast Television Journalists Association (BTJA) is a partner organization to the Broadcast Film Critics Association. BTJA includes TV, radio and Internet journalists who cover television on a regular basis. For more information, visit: CriticsChoice.com. Catch Kim's recent work on other sites! Surprise Emmy Best Drama winner Homeland is one of those rare shows that is so carefully and cleverly crafted that you’ll pick up new things even on your second or third viewing. 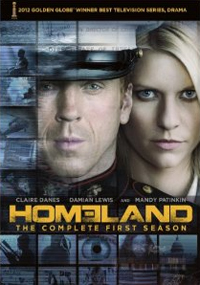 Is Claire Danes‘ CIA agent Carrie crazy, or are her suspicions that returning war hero Brody (Emmy winner Damian Lewis) is actually a terrorist correct? Watch, and enjoy the twists, especially with season two just a week away (Sept. 30 on Showtime). Season six started off with one of the funniest storylines in Dexter history, as our favorite serial killer attended his high school reunion (picture it: Dexter dancing). 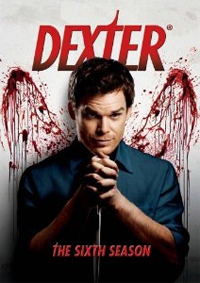 Things were a little rocky after that, with some crazy storylines involving guest stars Edward James Olmos and Colin Hanks, but the season ended with shocking Dexter/Deb happenings, and that’s where we pick up with season seven, which debuts on Showtime on Sept. 30. Bonus features: Cast interviews and episodes of other Showtime series, like House of Lies, The Borgias and Californication. A sad loss for Sam and Dean meant the Winchester brothers were on their own just when they were faced with their toughest and most dangerous foes ever. And in further twists, the discovery of a demon facility to concoct a cure for cancer turned out to be a very bad thing, and Sam and Dean ultimately had to help destroy a friend to save him from himself. Season eight of the CW drama premieres on Oct. 3. 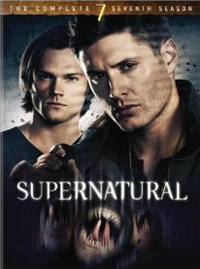 Bonus features: Unaired scenes, gag reel, episode commentaries, featurettes on show directors and composers and a fan-favorite video of star Jensen Ackles singing an Air Supply classic. 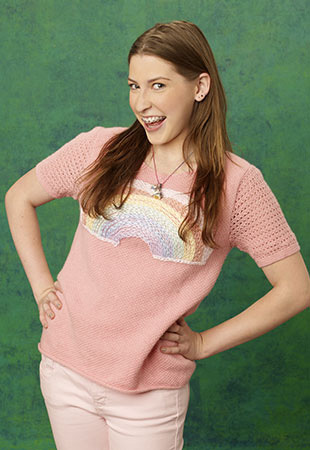 Elena made a couple of maaaajor choices in season three, one involving her love life and one involving the continuing existence of, well, her, as a human. And those choices will continue to play out in season four, which kicks off on Oct. 11 on The CW. 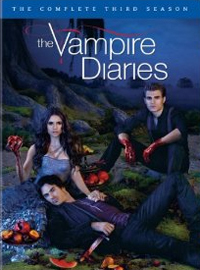 Bonus features: Bloopers, favorite scenes and featurettes on Stefan, the original vampires and the show’s writers. Orphaned Emily’s plot for revenge against those who turned against her father took some surprising turns in this first-season drama, a delicious, guilty pleasure primetime soap. Catch up with all 22 episodes in time for the Sept. 30 season two premiere on ABC, during which Emily will try to locate her previously-resumed-dead mom (Jennifer Jason Leigh). Bonus features: Bloopers, deleted scenes, pilot episode commentary, music videos and featurettes like Roadmap to Revenge and Haute Hamptons: Femme Fatale Fashion. 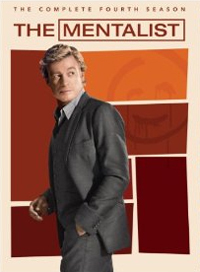 Yep, Patrick Jane is still trying to track down Red John, the serial killer who killed Jane’s family. And season four introduced him to Red John’s cohort, Lorelai (Entourage‘s Emmanuelle Chriqui), who just might become Jane’s new love interest in season five, which premieres Sept. 30 on CBS. Bonus features: CBI: Behind the Badge featurette. 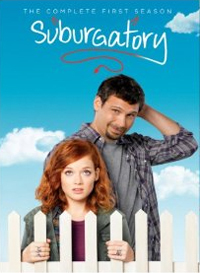 One of last season’s few new comedy hits, Suburgatory finds single dad George and his teen daughter Tessa leaving their hip Manhattan apartment behind for a house in the cookie cutter ‘burbs when George frets Tessa is growing up too quickly. Curb Your Enthusiasm star Cheryl Hines is a scene stealer as rich chic neighbor Dallas, who, in season two (premiering Oct. 17), will have her first date with George. 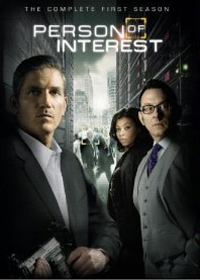 High concept, yes, but fantastic performances by Michael Emerson and Jim Caviezel sold the first season of this drama about a billionaire who uses access to U.S. intelligence agency data to team with a presumed dead CIA agent to try and prevent violent crimes. Season two begins Sept. 27 on CBS and we’ll learn what exactly Root has up her sleeve for the kidnapped Finch (Emerson). Bonus features: Pilot episode audio commentary, gag reel, extended pilot episode and Living in the Age of Surveillance featurette. It’s the season that featured the season finale that answered the question: will they or won’t they? In case there’s still any doubt, the season five premiere, on Sept. 24 on ABC, will answer it definitively. Bonus features: Audio commentaries, deleted scenes, bloopers and featurettes Nathan & Friends: Castle Goes Radio and Anatomy of a Stunt. 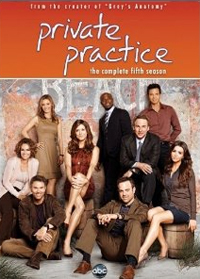 The fifth season ended with Kate Walsh‘s Addison “forced” to choose between two love interests, played by Taye Diggs and Benjamin Bratt. So, you know she had quite a season leading up to that. Her choice, by the way, will be revealed in the season six finale on ABC on Sept. 25. Bonus features: Blooper reel and The Practice of Parenthood featurette. 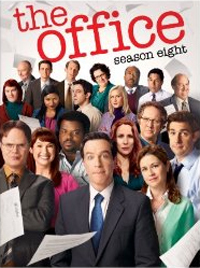 James Spader made his exit as Robert California, Darryl finally got his dream girl, Andy got his shot at running the office and Jim and Pam’s marriage was just fine, despite that plotting co-worker who set her eyes on Mr. Halpert. That was the show’s penultimate season, and here’s hoping things end up on even happier notes for the Dunder Mifflin gang in its ninth and final season, which began last Thursday. 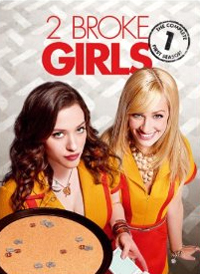 Bonus features: Deleted scenes, webisodes and extended episodes. Howard got married, Leonard and Penny got back together (again) and that clever — and very patient — Amy Farrah Fowler finally got Sheldon to make her his girlfriend. As the new season debuts on Sept. 27 on CBS, AFF tried to push her relationship with her reluctant even further along. 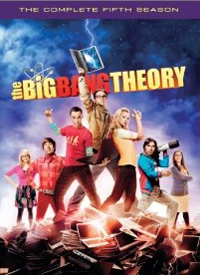 Bonus features: A gag reel, a behind-the-scenes feature on the various departments that bring the show to life very week, a cast reflection on season five and The Big Bang Theory @ 100 feature on the show’s 100th episode. Roommate waitresses and aspiring cupcake shop owners Max and Caroline met up with Martha Stewart in season one, so, when the show kicks off season two on Sept. 24, they’re even more jazzed to launch their bakery. 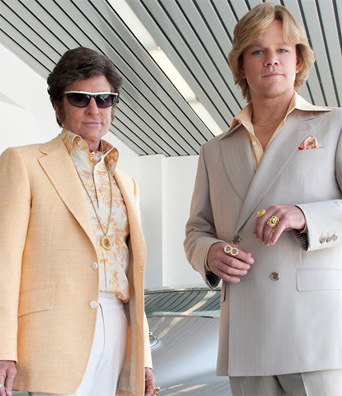 But first, Steven Weber will pop in as Caroline’s estranged, Bernie Madoff-y dad. 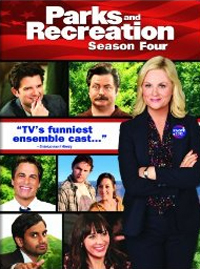 Leslie Knope finally got her guy and her dream city council seat, and we got to see the funniest collection of supporting actors on TV: Rob Lowe‘s Chris (“lit-trally”), Chris Pratt‘s Andy, Aziz Ansari‘s Tom, Aubrey Plaza‘s April and, of course, Nick Offerman‘s Ron Swanson. Bonus features: Deleted scenes, extended scenes, alternate scenes, webisodes, gag reel and The Swanson Zone, a series of mini features on Offerman and his scene-stealing Ron. 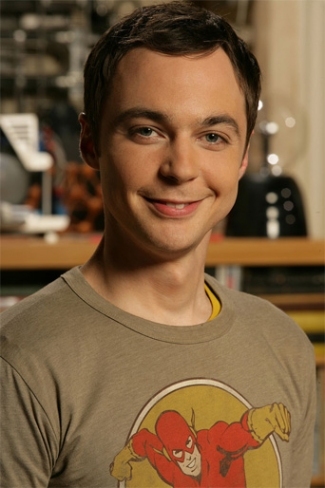 If you’re following the show, you probably already know about Jimmy, even if you haven’t actually seen the episode yet. But the who/what/how/why/when backstory of how he got there — along with the continuing Emmy-worthy performance of star Steve Buscemi — is the reason to catch up with season two, so you can jump in on season three, which is already in progress. Bonus features: Audio commentaries, promos, recaps and featurettes on the show’s new characters and changes to the season two landscape. 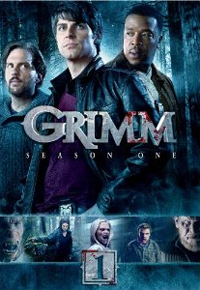 Season two debuted in August, but it’s not too late to catch up with this drama about homicide detective Nick Burkhardt (David Giuntoli), who finds out he is a Grimm, a group of people who keep others safe from supernatural creatures. Bonus features: Gag reel, audition tapes, highlight reel and multiple featurettes. A plane crashed, someone died and not all of the survivors are doing so well themselves. And that’s where season nine begins on Sept. 27 on ABC. 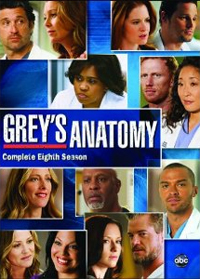 Bonus features: Deleted scenes, outtakes, an extended episode and a trip to Scotland with star Kevin McKidd. Shane … oh, Shane. The zombie drama that even non-zombie fans love just got better in season two, with fresh gruesome-ness (poor well-dwelling dude), fresh friction among the survivors and at least two shocking deaths. Catch up for season three, which premieres on AMC on Oct. 14 and promises to unfold the stories of the Governor, Michonne and life at the prison for Rick and company. Bonus features: Audio commentary, deleted scenes and more than 10 featurettes. Caitlin and Ethan! Congrats, and thanks for entering. Your awesome prizes will be on their way to your mailbox shortly. 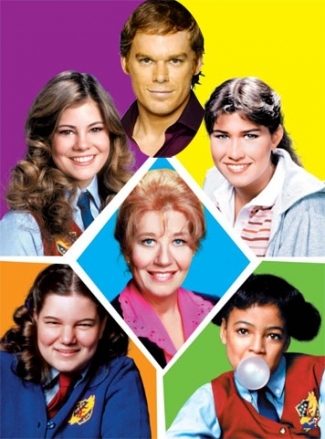 Enjoy, and thanks again for checking us out at TV Screener.com! 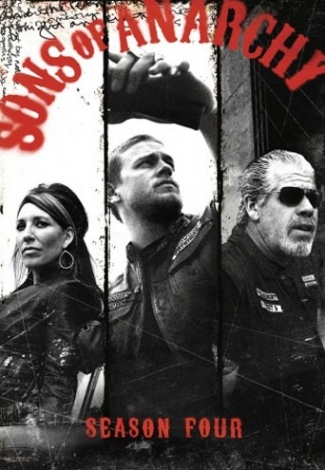 The season five premiere is just a couple of weeks away, and TVScreener.com is thrilled that our friends at Twentieth Century Fox Home Entertainment have given us two copies of the Sons of Anarchy season four DVD box set to give away to readers who want to get up to speed with the show before season five action begins! 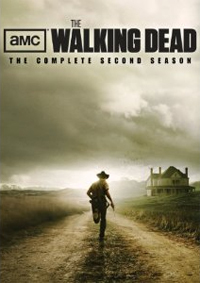 The box set is loaded with all 14 season four episodes, as well as bonus goodies like deleted scenes, extended scenes, commentary from series creator Kurt Sutter, director Peter Weller and stars Katey Sagal and Maggie Siff and a gag reel (which is always extra funny coming from an intense drama like SoA). In Sons of Anarchy’s fourth season, the SAMCRO gang gets involved in a dangerous and ruthless Mexican drug cartel led by Romeo Parada, played by Machete star Danny Trejo. 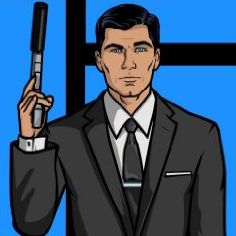 This isn’t the first popular television show that has gotten mixed up in the underground world of drug trafficking, so here, we’ll take a look at fan favorite TV shows that fight cartels and work to get the perfect product. Ride full-throttle with the Sons of Anarchy into the most intense, adrenaline-charged season ever! Out of prison and back in business, SAMCRO faces a powerful new nemesis as they forge an unlikely alliance and head in a dangerous new direction. As a deadly internal power struggle rocks the club to its very core, Jax struggles with the legacy of his father and makes plans for the future of his family amid chaos, corruption, betrayal, and murder. Action-packed with electrifying extended episodes, Sons of Anarchy Season Four will take you for the ride of your life! Walter White (Brian Cranston) learns he has cancer he panics and decides he needs to find a way to save money for his family. Taking his chemistry knowledge, he partners with an ex-student/drug dealer Jesse Pinkman (Aaron Paul) to create the most perfect form of crystal meth ever sold on the streets. 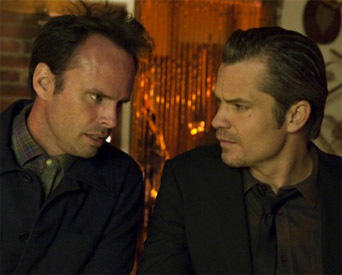 But soon, the cartel is after the duo and they are in way over their heads. Mary-Louise Parker stars in this dark comedy as Nancy Botwin, a widowed suburban mom who turns to marijuana as a means for money to support her two sons. Throughout the series she becomes involved with the DEA and also international drug cartels, all to support her family. The HBO drama set in Baltimore takes each season and focuses on a different facet of the city, including illegal drug trade. The many faces of character actors include a cop, a longshoreman, a drug dealer, a politician, a judge and a lawyer whose lives are all in peril. Following the complicated life of Sookie Stackhouse (Anna Paquin) and her on-again off-again love triangle with vampires Bill Compton (Stephen Moyer) and Eric Northman (Alexander Skarsgard), True Blood takes a closer look at the fictional town of Bon Temps and the dangerous events that continue to unfurl. 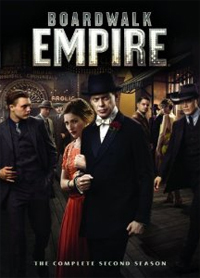 These side stories include Lafayette (Nelsan Ellis) as a drug dealer of V – vampire blood – a substance that acts as a controlled substance for humans. Now, for your chance of winning a copy of Sons of Anarchy season four on DVD, simply tell us who your favorite Sons character is. Good luck, Sons of Anarchy fans! Filed in Sons of Anarchy, TV on DVD, WIN THIS!